My entire L.A. wardrobe came from my favorite store in Culver City, Reservoir. If you missed some of my L.A. posts, I highly recommend checking out all of the looks. I was lucky enough to borrow pieces for my shoots, and I only wished I could keep the whole wardrobe. The owners Alissa Jacob and Aliza Neidich, two native New Yorkers, took their chic looks to the west side and it has been a big success. They carry so many contemporary designers we love like Shop Redone, Zimmermann, Ellery, and Hellessy. However, what’s even more unique is their curation of magnificent, eye-popping jewelry. It’s easy to get stuck in Reservoir all day, between the clothing, accessories, gadgets, and home goods, so carve out some time! The new store is located in Platform, the awesome indoor/outdoor shopping mall. You can go take the kids for ice cream, grab a bite to eat, and stop into Reservoir to shop, so it’s fun for the entire family, and serves as a great weekend activity. Of all the stores in LA, this one is by far my favorite! Poppy store is my first stop every time I come to town. Filled with the most well-curated selection of children’s clothing and accessories, and located in the cutest little corner of Brentwood Country Mart, owner Jenny Belushi nailed it! They carry various designers at all price points, and have the sweetest selection of boys clothing which is hard to come by. This store is a clear labor of love. 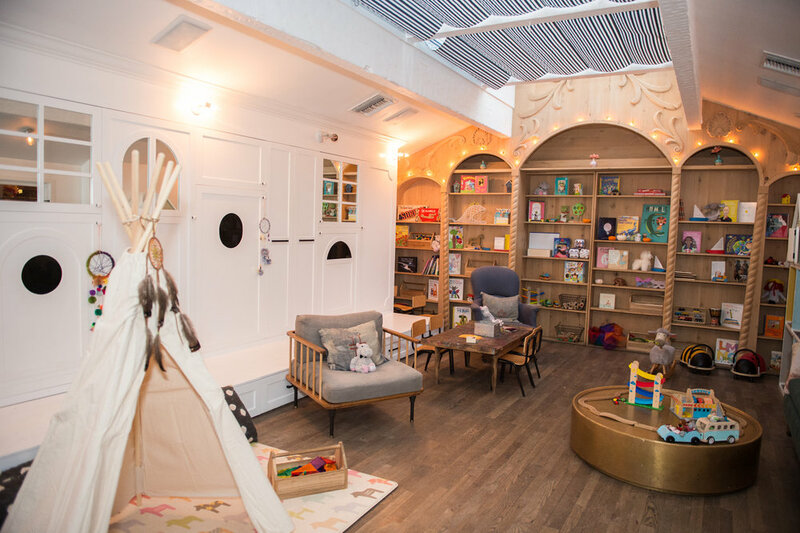 Jenny was always inspired by dressing her own little angels, and wanted to create a space where families could share her passion. My girls always look forward to my arrival back from L.A., with Poppy bags in tow, as they too, appreciate the exceptional mini styling by Jenny Belushi.